Honeysuckles are a group of perennial woody vines or shrubs, the most common being the Japanese honeysuckle. They flower in the spring and early summer on old wood, which means they bloom on the previous year’s growth. 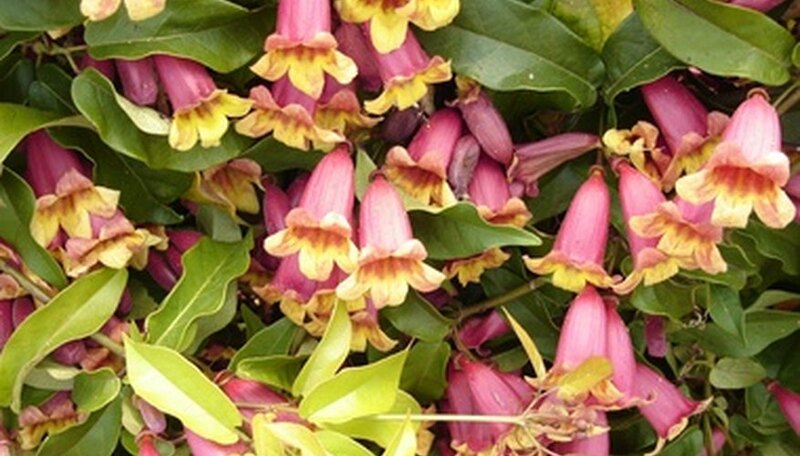 Most honeysuckles grow aggressively and can become overgrown in just a few years. Because of that, you should trim or prune honeysuckles every year to control growth. If you have a neglected and overgrown honeysuckle, you can rejuvenate the bush by pruning it severely. Decide when to trim your honeysuckle. These bushes are best pruned yearly right after they bloom, according to Texas A&M University. However, if your bush is overgrown and has become “woody,” then prune it in the late winter before new growth. You can also wait until early spring when new buds appear to have a better idea which stems will bloom and which ones will appear woody. Do not wait until they bloom, as this will put further stress on your honeysuckle bush. Trim a honeysuckle bush yearly in the late spring to control growth and maintain a desired shape. Selectively prune up to one-third of your bush. Cut off the tallest stems as well as older woody stems. Cut some of the middle stems to allow air and sunshine to reach the center of your bush. Prune overgrown honeysuckle bushes in the late winter or early winter. Cut off the oldest, thickest, woodiest stems to within 1 to 2 feet of the ground. Cut off one-third to one-half of the stems for your bush to bloom some this year. If your bush has green buds, it will be easy to see which branches will flower and which will not. Another option is to cut the entire bush down to within 1 to 2 feet of the ground. Cut just above a parent branch and make a clean cut with a pair of sharp, clean hand clippers, a saw or lopping shears. Cut completely through the stem.